Iran and IAEA were relatively “optimistic” after their meeting in Vienna last Friday, Reuters quoting Western diplomats reported today. Another envoy said the discussions had been focused and the atmosphere positive. The next IAEA talks will be held on October 28, two weeks after Iran meets six major powers in Geneva. 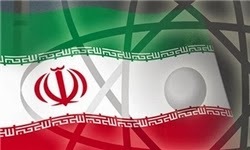 Iran told the International Atomic Energy Agency (IAEA) in Friday’s meeting it wanted to achieve substantive results within months in the talks on a stalled IAEA inquiry into possible nuclear weaponization research at Parchin. Iran has dismissed allegations that it may have worked on designing a nuclear bomb at the site. Eleven meetings since January last year have failed to end the deadlock over how the IAEA should conduct the investigation. The regime wont get away with it this time. They can't buy time like they did under that sayed khandon khatami and that stupid little monkey Ahmaghinejad. The clock is ticking very fast for this terrorist regime of criminals. Anon 4:25 PM, not a little brother. They are more like a hired shill of nutty nutanyahoo, known as a hasbarat. Nowdays we do not talk about yesterday. We talk about today maybe. But more interest is to talk about tomorrow. Think twice before writing and wake up - or not - you decide. Not only do you think childish but also write large amounts of gibberish. The reason the mullah imposed regime is willing to talk to the US is because they know they will be screwed if they don't.It is not out of reason but fear of collapse.